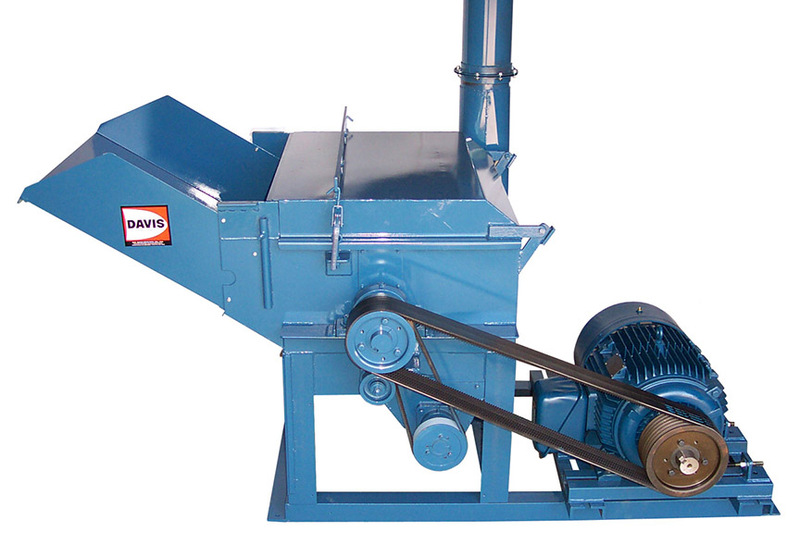 Davis Granulators are used to grind a variety of products including all grains, ear corn, hay, cottonseed hulls, peanut hulls dried manure, bark, coir blocks, etc. Our Granulators are similar to hammermills but are built with hardened and sharpened knife tips in place of the blunt hammers. This provides a slicing action rather than the exploding action of a hamermill. This makes our Granulators more efficient so they require less power and produce less dust and fines. Davis Feed Granulators are available in 4 sizes including 12″, 18″ 24″ and 36″ widths and several infeed options. Please contact us for more information and pricing. 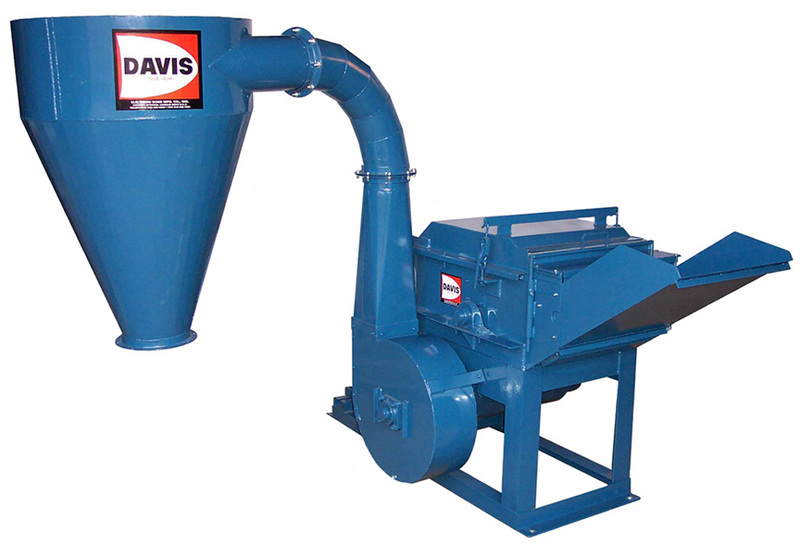 Davis Granulators are similar to Hammermills but are more efficient because they use fixed sharp knives in place of swinging blunt hammers. They are also equipped with a discharge fan which helps pull the material down through the screen. These features combine to give our product higher capacity with less dust and fines.